DUE TO THE CONSEQUENCES OF THE ECONOMIC CRISIS, IN SEPTEMBER 2011 I HAD TO LEAVE THE APARTMENT IN PARIS WHERE I LIVED FOR SEVERAL YEARS. IT WAS IMPOSSIBLE TO FIND ANOTHER PLACE TO STAY, SO MY OLD VOLKSWAGEN BUS BECAME QUICKLY MY SMALL REFUGE FROM REALITY, WITHOUT ANY COMFORTS, BUT WITH AN INCREDIBLE PANORAMIC VIEW. THE TEN BUS WINDOWS BECAME TEN SCREENS TO WATCH AND EVEN IF I WAS LIVING A VERY DIFFICULT TIME, OUTSIDE THE BUS THE SHOW OF EVERYDAY LIFE CONTINUED. 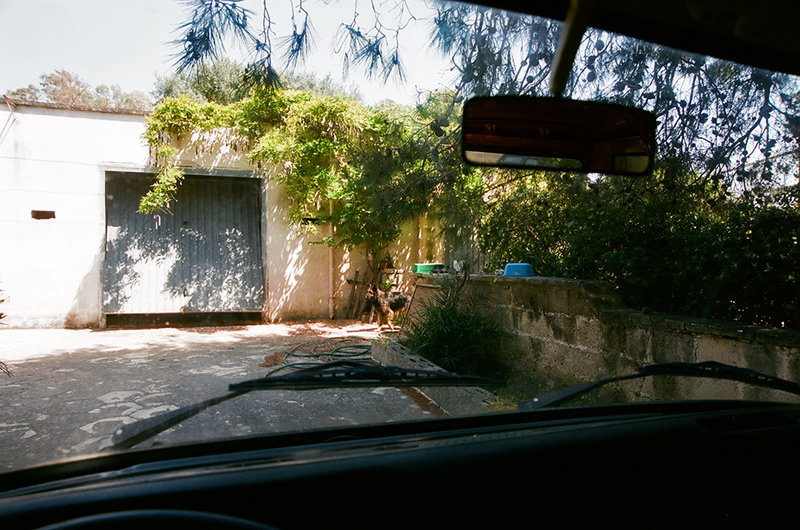 ONE DAY I STARTED TAKING PICTURES FROM THE INSIDE OF MY PARKED BUS, THEN I REALIZED IT WAS MAYBE TIME TO LEAVE PARIS AND MOVE ON, SO I STARTED TO HIT THE ROAD. THE BAY WINDOW SERIES WAS BORN. TWO YEARS LATER, IN SEPTEMBER 2013, THE 34 YEARS OLD ENGINE OF MY VOLKSWAGEN BUS DEFINITIVELY BROKE DOWN SOMEWHERE IN THE FRENCH ALPS, THEN I LEFT IT IN A SAFE PLACE AND WAITING TO FIX IT, I SWITCHED TO MY FATHER’S OLD FORD STATION WAGON AND I KEPT GOING. THE BREAKDOWN SERIES WAS BORN. ALMOST FIVE YEARS LATER, IN AVRIL 2018, MY OLD VOLKSWAGEN BUS FINALLY STARTED TO MOVE ITS WHEELS AGAIN THANKS TO A BRAND NEW CRANKSHAFT AND A COMPLETELY REBUILT AIR-COOLED ENGINE. A LONG BREAK-IN PERIOD. A DIFFICULT COMEBACK. A BIG LOSS. A NEW DAY FOR MY WANDERING ON THE ROAD. THIS IS WHAT I SAW.